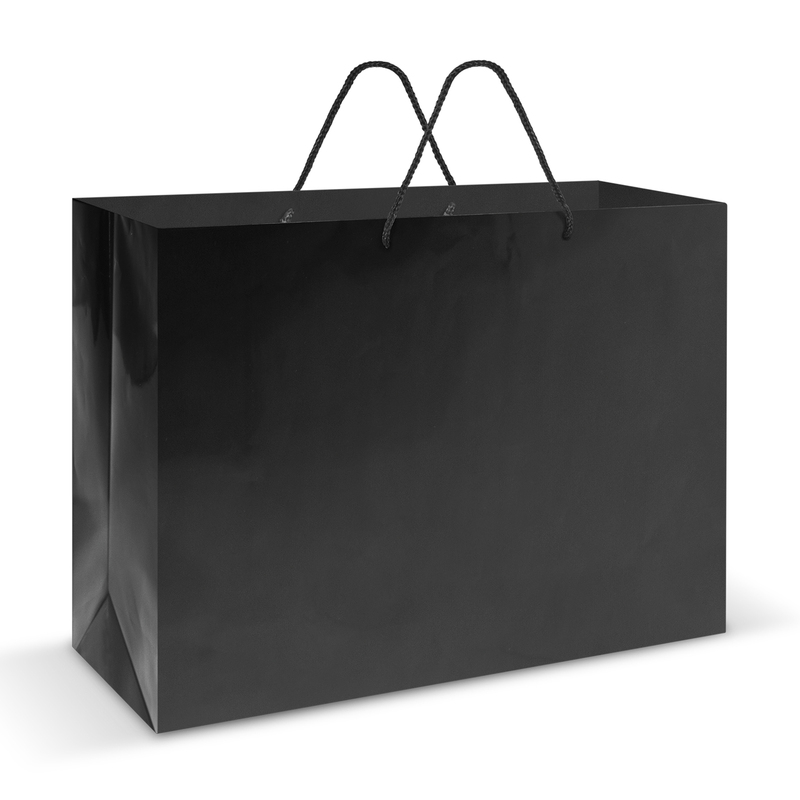 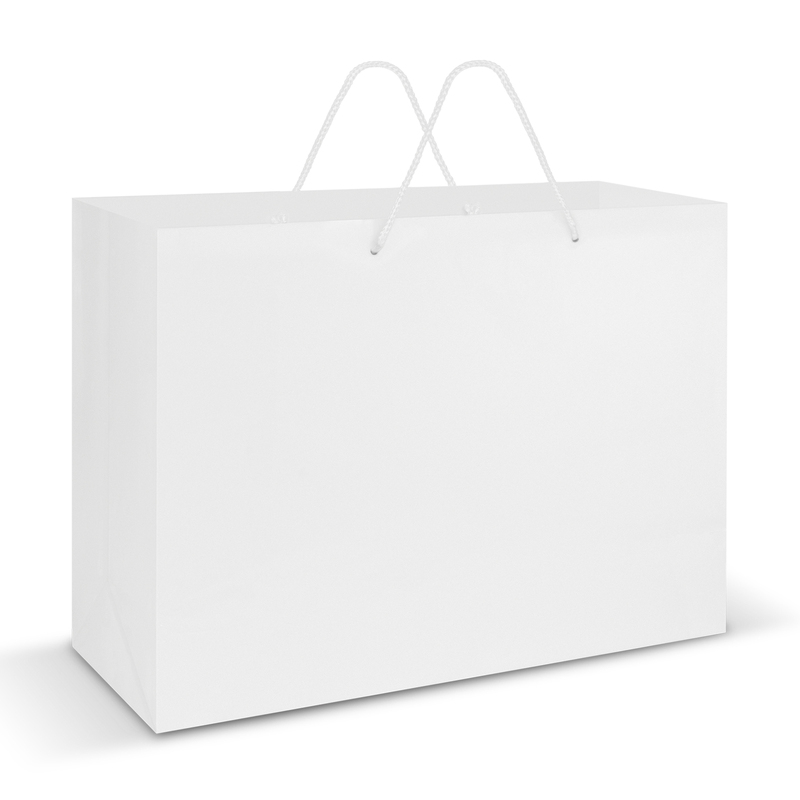 An extra large laminated carry bag with a huge branding area and retail style design. An extra-large carry bag designed to hold large or many items. 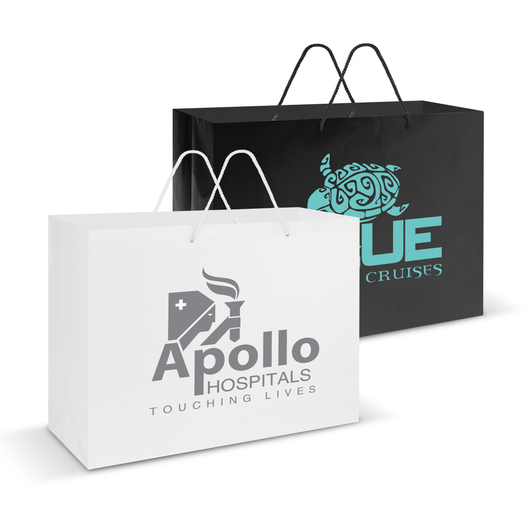 Made with 157gsm laminated art paper with strong woven polyester handles Just imagine your logo branded on these bags and how they will help achieve your goals!